So far 大田区観光情報センター has created 270 blog entries. 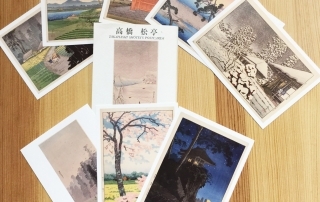 8 pieces set landscape postcard painting of Omori has been famous with its Nori since 300 years ago. 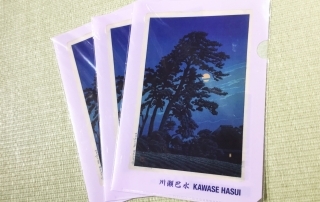 “Evening after the snow fell at Morigasaki”drawn by Kawase Hasui. This ticket holder keeps your tickets organized,preventing torn or lost. 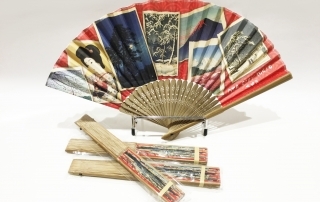 This Paper Fan featuring of Kawase Hasui whom are widely regarded as of the greatest artist of the Shin-Hanga style and also known especially for his landscape prints. 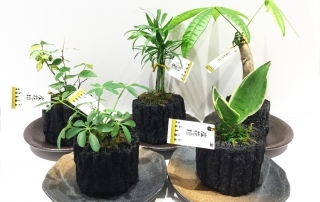 This Charcoal Beds Plant is easy to grow indoor houseplant.Besides this ,charcoal helps remove bacteria,harmful pollutants and allergens from the air and absorbs moisture.Its also perfect for decoration. 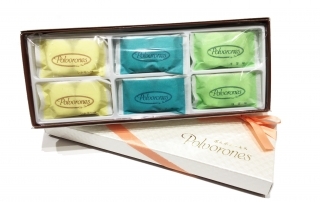 Polvorones is a soft and crumbly type of Spanish shortbread originating from Andalusia. The Bagel made from blended koji rice and natural yeast that’s from Hokkaido. Gugu Guru Bagel it’s the only place where you can find the best texture of bagel. Yomogi Bagel was contains with grain Tokachi Azuki and cream cheese. Kamata Nagomi bagel was collaboration of western and Japanese taste palate. 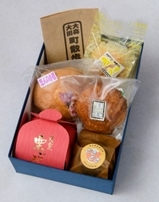 Kinkaido Confectionery had chosen five popular sweets for the assortment. “Kurigoromo”is the most popular among the sweets. “Mugibatake” a sweet name, is for remembrance of the olden days of Omori District, which made wheat straw. Daifuku wrap with baked crust pie inside, contains sweet paste plum. Plum is the symbol flower of Ota City. This noted book features handmade Ise Katagami stencils made from layers of handmade Japanese traditional paper bonded together with persimmon tannin and carved with design. 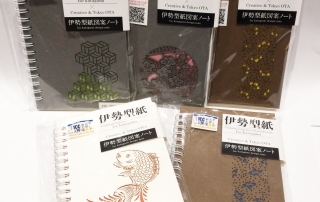 This notebook is well made with various patterns such as plums, irises and flowers. They show the richness of Japanese design, as well as the remarkable skill of Japanese fine-cutting technique.